The 100’s health and wellness goals are to raise awareness, provide access to health care and health information that will ultimately promote behavior change resulting in a healthier lifestyle. 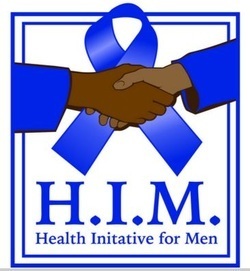 H.I.M is focused on community prevention education and innovative interventions that will have direct results in lowering risk and improving the health status of all men. This initiative focuses on prostate cancer, cardiovascular disease, vision, cholesterol and stroke/blood pressure. This event is held annually typically in the month of August. In 2016, services are no available to women. 1oo Black Men Of Rome-Northwest Georgia, Inc. Is A 501(C)(3) Organization.